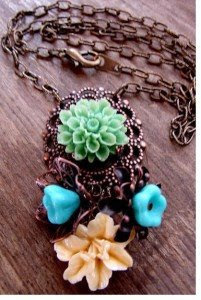 Subu is giving away a lovely vinage inspired necklace. I just am thrilled with the comeback of vintage inspired pieces. Whether authentic or not, the old is new. Stop by subu and then visit pretty betty designs. Go back to subu and write your inspirations in the form of a haiku post (5-7-5). That's it! You are entered to win. On your way out, stop by sister site suburose.com and check out the beautiful handcrafted notebooks.